Originally posted on 19 April. Scroll down for news of the commercial release. Escape Motions has unveiled Rebelle 2, the next update to its fluid-simulation-based digital painting tool, adding support for masking, stencils and selections, a new brush engine, and GPU acceleration. Rebelle mimics the behaviour of watercolour and acrylic paint, complete with fluid flow and blending. Users can control the flow of the paint in real time by tilting or blowing on the virtual page. The software can also mimic the behaviour of dry media, including pencil, pastel and marker. To that, Rebelle 2 adds new options to mask out areas of the image: two conventional and one idiosyncratic. The update adds a standard set of selection tools, with the option to invert the selections to create a mask; along with the option to use any monochrome image as a stencil, as shown in the video above. However, Rebelle 2 also adds the option to turn strokes created with any existing of the existing tools and brushes into digital masking fluid – effectively creating masks that themselves exhibit fluid flow. Updated 21 April: Escape Motions has also just posted details of Rebelle 2’s new brush engine. The redesigned engine will enable users to create their own custom brushes, and includes the option to link brush size or opacity to stroke pressure when using a graphics tablet. 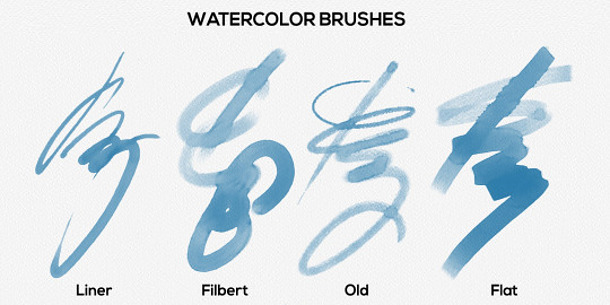 In a similar way to the masking system, any brush can also now be used as an eraser. The update also introduces an experimental new GPU engine designed to improve performance when painting on very large canvases. Escape Motions doesn’t quantify the performance benefits, and notes that it’s still unstable, but says that it will update the engine in a future free update. The other key change in Rebelle 2 is the option to import or export files in Photoshop’s PSD format, with support for all of Photoshop’s native layer settings and blending modes. However, there are also a number of smaller improvements, including the power to create colour sets from the colours used in a painting session, and faster Save and Undo – although Escape Motions doesn’t quantify the speed boost. Rebelle 2 is shipping for Windows and Mac OS X. The price of the software has risen from $59.99 to $89.99.